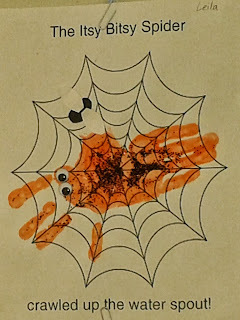 I don't know why they spin so many webs in the fall. Are there not more flies to catch in the summer? But there they are across every doorway, bush, and window. Waiting for some poor unsuspecting victim. And usually the victim seems to be me! 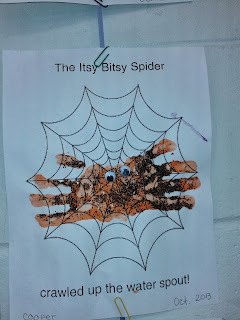 The only upside to having spiders and webs at every turn is that it gives you an excuse to do lots of fun spider activities in class! It's part of the season! The kids love rolling the marbles around on the paper. Even the boys who never do art come a runnin' to make this project. 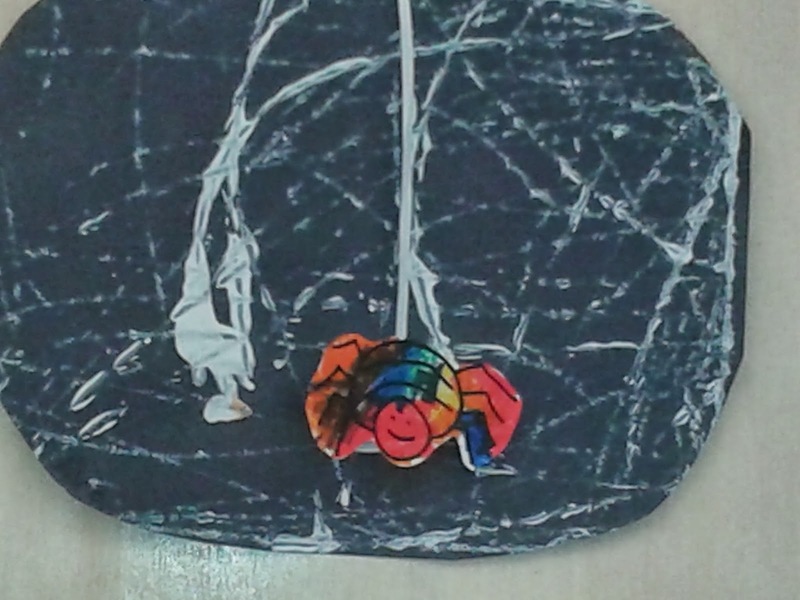 Once the student is finished marble painting his web, just help him tape a piece of string to the back of his coloured spider. 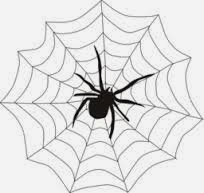 Tape the other end of the string to the back of the "web" so that the spider dangles in front. 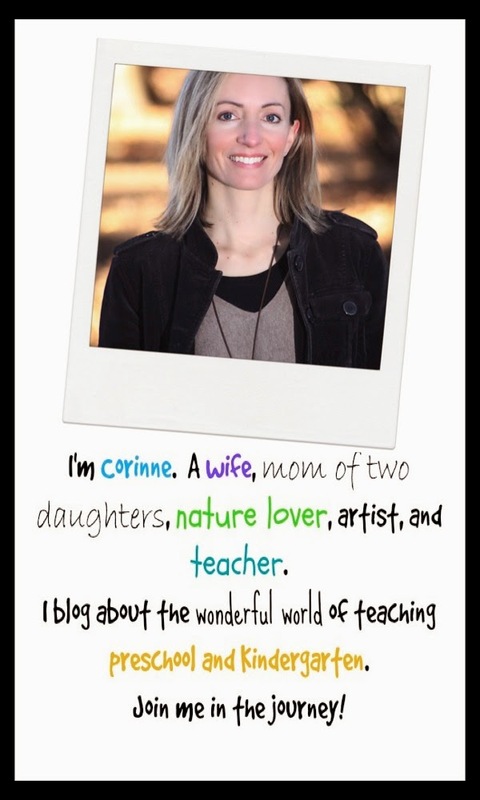 Easy, cute, and lots of fun! 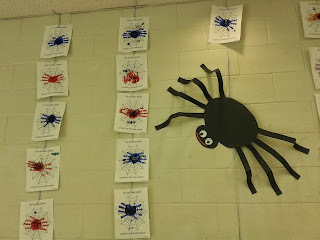 Another fun spider activity we did this week was handprint spiders. 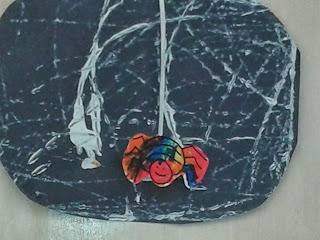 It's another craft requiring little teacher prep, but offering a cute finished product that the kids enjoy making. Add some glue to the paint if you want to have students add sparkles to their prints. It will help the sparkles stick better. 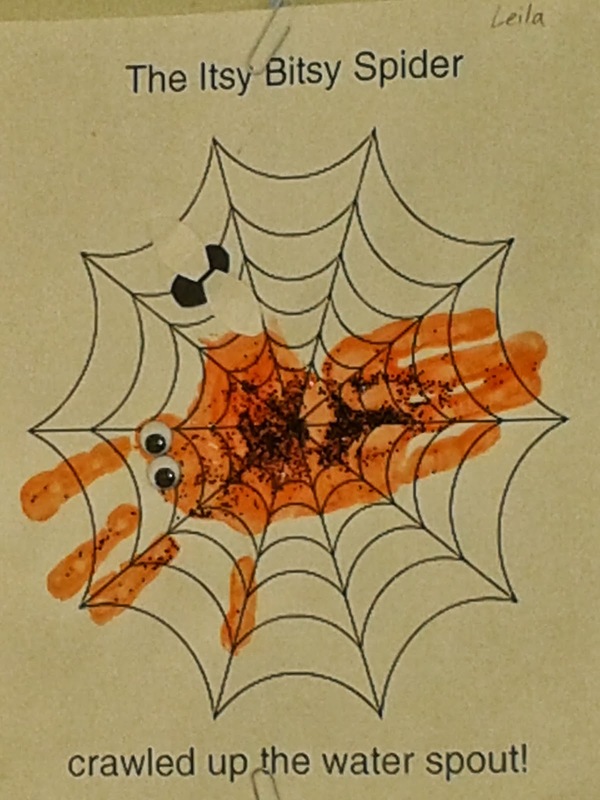 Paint one of the student's hands with a paintbrush and help him make a print on the spider web. Then paint the student's other hand and turn the paper to help him make a second print that overlaps the first. 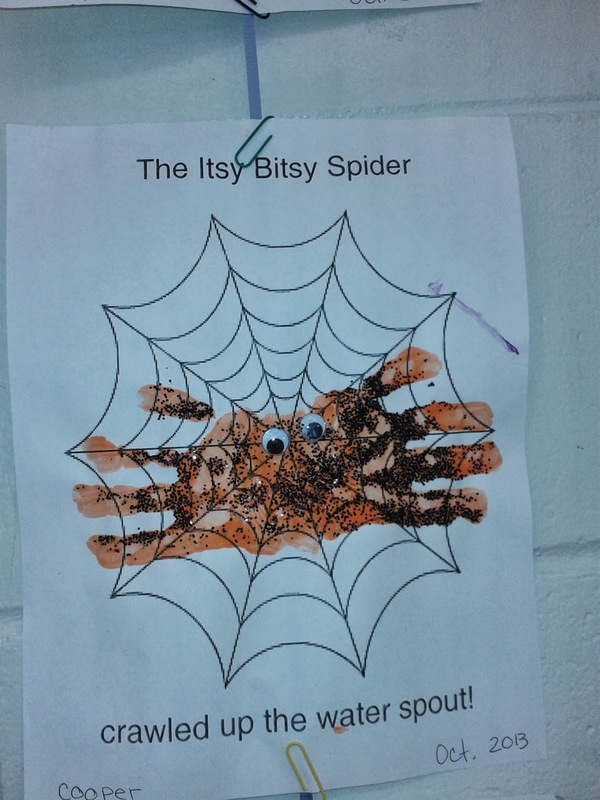 Students can then add googly eyes, sparkles, and a fly if desired. Note: Make sure that you don't paint the student's thumbs or your spider will have too many legs! Here are the finished products hanging on our brick wall. I made a giant spider to go in the middle. Folding the legs made him look a little more 3D!